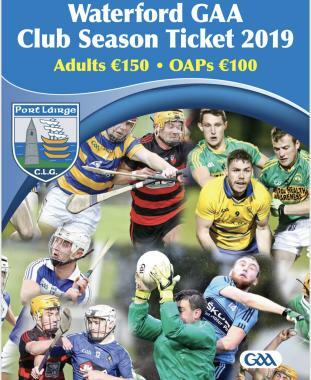 The very popular Waterford GAA Club Only Season Ticket is now available in both Intersport Elverys Waterford and Dungarvan, David Walsh’s Dungarvan and Walsh Park! Alternatively you can purchase the club and county one directly from Croke Park see link for more details on this option. This is the best value option!